The deadline to submit content produced from 2010-2012 is February 22, 2013. 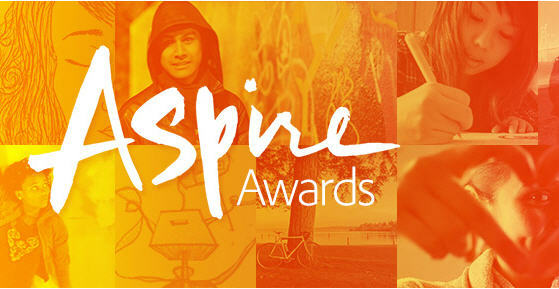 For content produced in 2013, including all Adobe Youth Voices Aspire Awards UNICEF Challenge entries, the submission deadline is April 19, 2013. Additional submission details can be found at youthvoices.adobe.com/awards/submissions. We look forward to receiving you entries! Adobe Youth Voices aims to empower youth in underserved communities around the globe with real-world experiences and 21st century tools to communicate their ideas, exhibit their potential, and take action in their communities. Launched in June 2006, Adobe Youth Voices is the Adobe Foundation's global signature philanthropy program designed to provide youth in underserved communities with the critical skills they need to become active and engaged members of their communities and the world at large. The Adobe Foundation invests nearly US$ 8 million per year in the Adobe Youth Voices program, primarily through training, educational resources, and grants. The program also leverages software donations and employee volunteers from Adobe Systems Incorporated. With a focus on empowering youth, Adobe Youth Voices supports young people in and out of school and encourages the use of cutting-edge multimedia tools to communicate and share their ideas, demonstrate their potential, and take action where they live. The Adobe Youth Voices global network currently includes more than 750 sites and a large, expanding number of grantees and organizations in 53 countries. Since its inception, Adobe Youth Voices has engaged over 100,000 youth and 5,000 educators in schools and out-of-school programs.